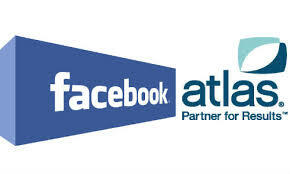 On the 29th of September, Facebook relaunched one of its brand new products- Atlas ad platform. Facebook bought Atlas from Microsoft for $100 million in 2013. This service is made to help marketers to target customers across PCs and smartphones. It’s something like ‘people-based marketing’, as here marketers can follow users in different digital places. In simple words, it means that Atlas gives the information about how many people saw company’s advertising on their phones and then bought the products of that advertisement on the PC and vice versa. Atlas is the strongest feature of Facebook so far to track the activities of its users on the Web. First, years ago, they started collecting data by the help of “Like” buttons, then came Facebook’s ‘social graph’ to describe people’s online behavior, and now it’s time for Atlas. Atlas will work in the following way: When a users logs in Facebook, the network automatically catches the information about the user. If an advertiser wants to sell his/her products to men, who are between 25-40 years old, who live in Paris and who like basketball, Atlas directly sends adds to these users if it is matching with Facebook data. The company also ensures that online advertising impressions will be connected with offline purchases, an area where Facebook worked a lot and developed partnerships. Facebook told that Atlas will work with several partners, such as Instagram, which is though owned by Facebook, will use Atlas to track ad impressions by following other companies, who are not owned by Facebook. Omnicom, which is a very large marketing and advertising company, told that they are the first who became partners with Atlas. Intel, one of the Omnicom’s clients, will use Atlas as well. In an interview, the CEO of Omnicom said that Atlas gives them the opportunity to sell products or services to the right people, in the right place and period. Atlas is a big challenge for Google and for any other retargeting technology platforms, as it has all the information about users that Facebook (the largest social network) provides. Not only Facebook has lots of data about users, but it also can view all the posts and give advertisers more knowledge about customers. In comparison with Facebook, Google or other retargeting technologies don’t have as much chances to observe customers in real-time as Facebook has. It’s obvious that this platform will help Facebook a lot to increase its profit.